Okay, so you have a Facebook page – so now what? It’s time to get your page in front of people! In other words, it’s time to drive traffic to your fan page, get more likes, increase engagement, and promote your brand. But until unless you have a huge audience like every big brands does, you will need to educate your potential audience on how to find you on Facebook. Once you’ve acquired your first 25 fans, Facebook will allow you to edit your page URL. Change it to something easier to remember or something more closely related to your company name. Add your Facebook Page URL in your email signature. 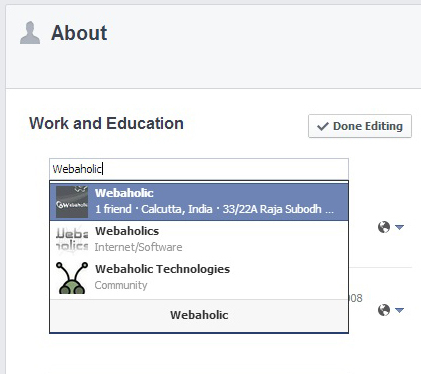 This will help your contacts to know about your Facebook page. Though linking to your Facebook Page in email signature doesn’t seem remarkable but, it is an easy & powerful way to expose your page to the people with whom you interact with on a regular basis. Write a blog post declaring your new Facebook Page. Create genuine reasons for people to like your page. List them with reasons as to how they will be benefited if they like your page. Do not forget to drag visitors from high-traffic pages of other user’s into your latest updates. Use the Facebook mention feature starting with “@” or “+” to grab the attention of other page owners and their followers. Give a bull start, it will result in pulling the huge traffic others have into your Facebook page and after tagging they will feel like peeping into your page at least for once! Invite your Twitter & Google+ followers to your Facebook page. Do not restrict them by just asking for a “like”, but also bid them for participating in a conversation. More the people participate; more will be the foot-print. You can also add your fan page URL on your Twitter profile background. A good Facebook advertisement can work wonders for you. Once the likes keeps flowing just be alert to hold them by paying special and individual attention to each like. Moreover by doing this you can check your costing according to your requirement. In case you have forgotten that people actually check the “About” section of your profile. First go to your Facebook profile and click ‘Update info’. Enter the name of your page, this will open further fields to fill in and select the name you entered. And then hit “Done Editing”. Word of mouth marketing is still a great way to get your site noticed. Motivate your colleagues, your partners and associates by following, liking your Facebook Page to their Facebook profile. You should also refer your Fan Page to your personal network and watch your fan base grow. If your business has a phone on-hold system update it and add your Facebook address. Generally we all like preference and pamper. Therefore it’s always noble to share their Fan pages. 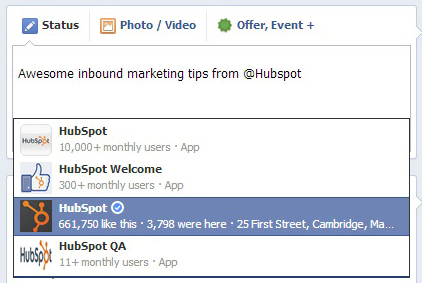 Once you begin welcoming their involvement and preference, this will undoubtedly boomerang on your Facebook page. Mari Smith & Ravi Shukle does this often. You can also participate in posts like this. If you make helpful videos as a part of your content marketing strategy, then a well-timed fan page link or mention at the end of your YouTube videos is a great way to get noticed. You should also place your fan page in in the video description section, more people read the description box than you might think. The technology which is most “in” in the online world is the QR code. It’s a quick way to direct mobile users to a specific website via a smartphone/tablets camera. You can always develop QR code for your Facebook page thus giving your fans a more compact techno-functional feel. Facebook caters with loads of features which gives you the facility to extract a contact list and target website visitors through ads. Isn’t it a fabulous way collect people of your own tribe! Add a like box in your website or blog, it is an important tool. It shows you how many of the visitors have liked your page and even the readers also. Putting it on your website will get it in front of all of your website visitors. But when you do so, make sure you tick the options to include face pile. This way, your Like box will show your readers how many of their friends like the page as well. Although Google AdWords is expensive, yet it is completely testable. You are free to access your costs and in turn have a control over your budget. Initially test the word of the advertisement. You will come to know what keywords generate more likes, and in this way choose your best key word. If you organize and feature webinars, you can unfailing send your registrants to the URL of your choice which you want once your followers sign up. The only place you should divert them is your Facebook page. You are also free to do this with your videos and all forums of your online presence. Whenever you are in some corporate presentation or into a public forum do not fail to include your information wherein people who are impressed with you might want to touch base with you. You can do it at the last slide. You should mention all the details about your contact. Also include your Facebook link in your presentation. These days’ contests pull a lot of crowd. So you are free to arrange contests as often you want. Declare lucrative prizes for the one who sends you maximum fans to your Facebook page. This will help you to announce your latest updates which in turn will be automatically posted in your other profiles and forums. On the other hand when you write guest posts for other sites, include a link to your Facebook page in your bio. Ultimately places where you can provide further information about you or your brand, link to your Facebook page. Online as well as offline presence is of equal importance. Use all offline strategies to update your surroundings about you. Put the Facebook URL in brochures, business cards, on sales posters, print advertisements and even on sales letters — anywhere it can be visible. Make use of most of it. Content is king. Quality content can draw more people rather than any other thing. The best way is to provide and come up with great content which will attract people to like your Facebook page. This is the latest strategy. Be generous to comment on fan page contents or posts of your followers or friends. This will be handy is and very similar to blog commenting. Always encourage your fans and contacts to instigate others to raise various topics and discussions on your wall. This will help you to come into limelight and thus bring more traffic in your Facebook page. The nest way to let people know your online existence and activities is using SMS and email blasts over your specific region. These are very cheap and won’t pinch your pocket! But don’t even think of spamming or buying bulk email addresses or phone. This will work against you. You are free to ask for endorsements and testimonial from your own fraternity. It will increase your face value! 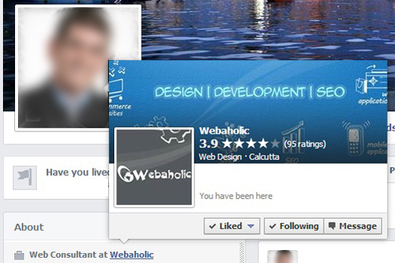 As we know first impression is the last impression, make proper use of your Facebook Fan Page cover photo. 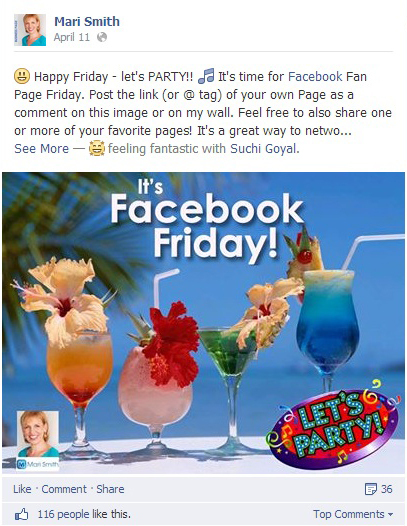 Your Fan page cover photo is a great place for creating engagement & increasing likes. You can ask people to like your page with a proper Call-To-Action or can use it to feature contests like “Fan of the Week”. 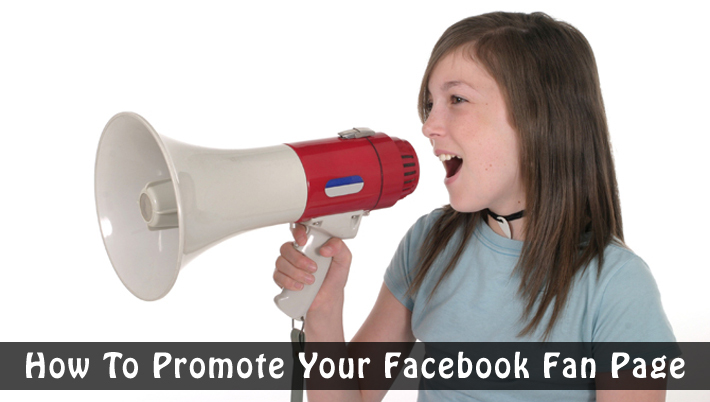 This will encourage your fans to promote your Facebook page on their social networks. Guys from WhoIsHostingThis.com created this awesome infographic with some handy tips, on you can promote your Facebook page and generate likes by spending 5 minutes a day. So here we got to find some of the tips which might come handy for you to promote your Facebook fan page. What other interesting ways you have seen brands promoting their fan page? Let us know in the comments box below. I do not understand how to do this. Well Jim it’s pretty simple!